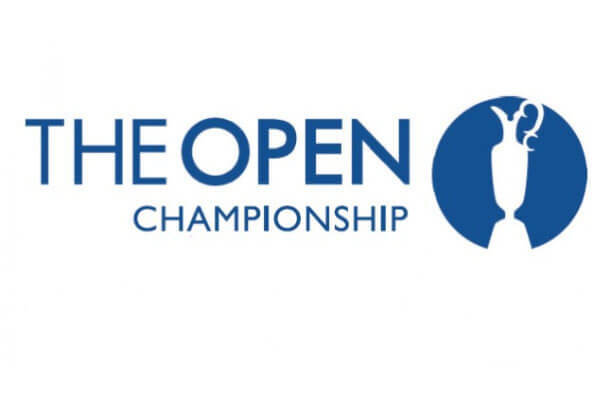 This week in golf it’s the Open Championship and it should be a good one. Dustin Johnson has now entered the fray of the top tier of golfers after his US Open win, and he followed that up with his amazing performance at WGC Bridgestone. Last year we saw the emergence of Jason Day amongst the top tier and it’s now him, DJ, Rory McIlroy and Jordan Spieth right there at the top of the golf game. Of the four, only one of them have actually won the Open Championship however – with that being Rory McIlroy back in 2014. The closest was Dustin Johnson in 2011 who came tied for 2nd although he was 3 strokes behind the surprise winner of Darren Clarke that year. Rickie Fowler is always a solid golfer who can bring it for the Open championship. His form here can be hot and cold but with two Top 5 finishes in his 6 participations here and only one missed cut, I like Fowler. I don’t really factor in majors form as much but the man loves links golf, and he’s had a solid season so far without any wins. Could this be the one? I’ll be taking Fowler to win and E/W here for half a unit. 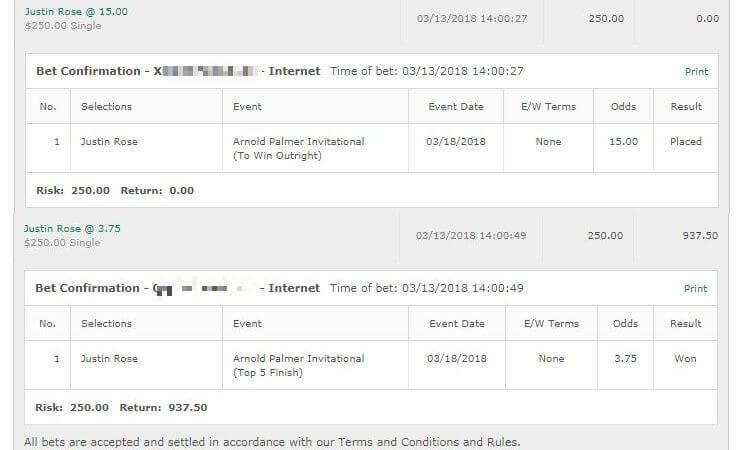 Bet: Fowler to win and E/W for 1/2 unit at https://www.GTBets.com. It’s hard not to back Sergio Garcia in the Open Championship. The only thing really stopping you should be the odds – but thankfully with the elite 4 this time around we’re getting a hell of a price on him at 25/1. Sergio Garcia has had many excellent performances here and the odds are very generous at 25/1. I’m happy to place a half unit on Garcia to win and E/W. 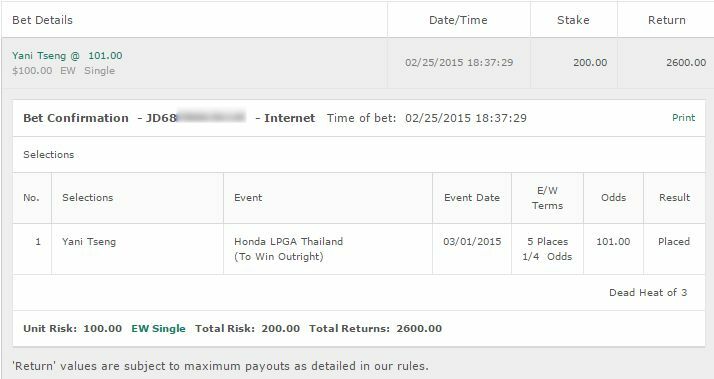 Bet: 1/2 Unit on Garcia to Win and E/W at Bovada for Americans. There are 4 other potential candidates for the Open Championship that I don’t feel strongly enough to place a full bet on but am going to be doing quarter unit bets on. Jordan Spieth: Just a slight gut feeling about Spiethy. He’s not favoured at 11/1 but it’s hard to count him out and the odds make it worthwhile. Taking him purely to win. Matt Kuchar: Kuchar has only performed here well twice with two top 20 finishes but he’s coming into this on the back of some fine form and is a crazy price and is worth a bet to win and E/W. Adam Scott: I’m not 100% convinced on Scott but man everyone seems to be taking him so I’d feel silly if I didn’t. To win & E/W. Nicolas Colsaerts: The Belgian finished strong here once before and has had some solid performances on the European Tour. He was 3rd in the Scottish Open and 3rd in the Nordea Masters. I’m fine with a small amount on him. 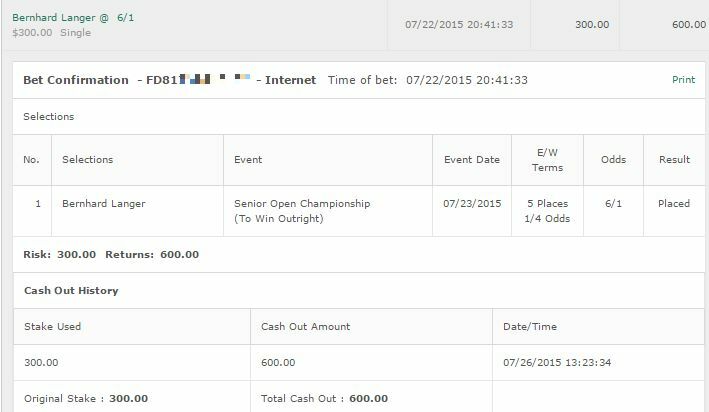 Bet: Other than Spieth, these are all quarter unit to win & E/W at Bovada for Americans.